I'm starting with a confession: I've had a hard time focusing on the ins and outs of teaching this last month. Rather, it's been just putting one foot in front of the other. 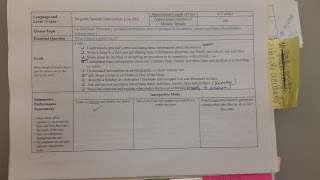 This post is an attempt to refocus, and acknowledge and reflect on some of the work I've done this fall. 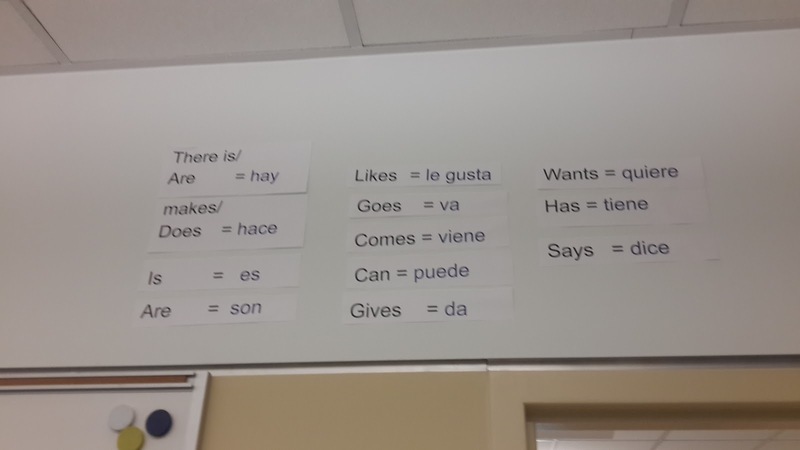 I've posted high frequency verbs on my classroom walls, and in the few weeks they've been up, I've already seen the benefits. 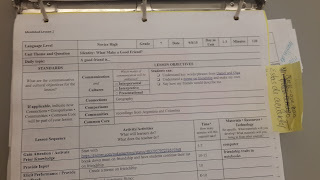 My 5th-6th graders are using them for putting their thoughts together in class discussions and on writing prompts. I've given the clear message that using them is not cheating--rather being resourceful. 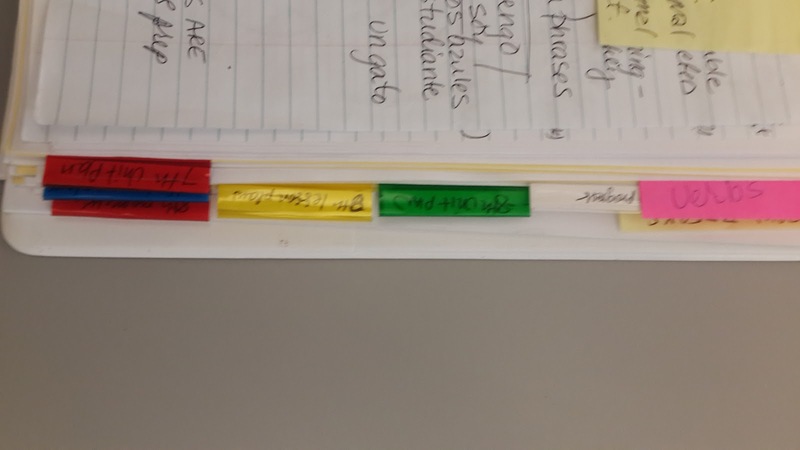 In middle school, this scaffolding will be removed as the students integrate them into their working vocabulary. 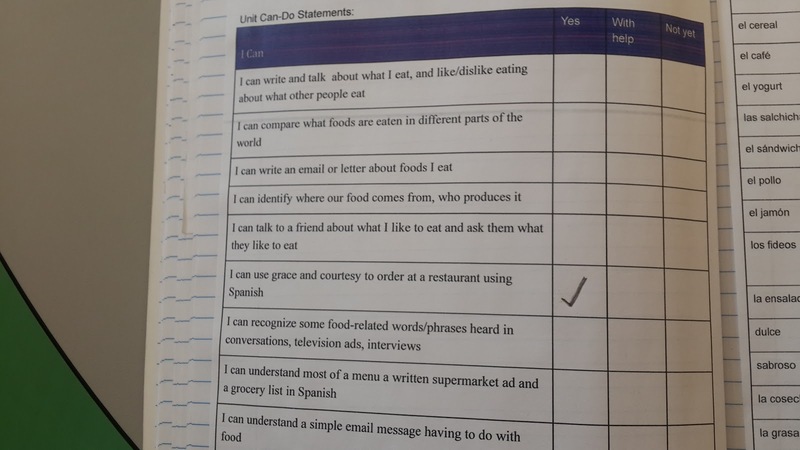 One observation I've made is that it allows the students more freedom of expression and encourages self selection in how to put their thoughts together--it's helping to keep our class in the TL, too. 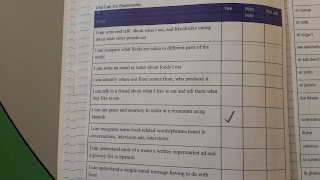 The children also make suggestions on what other words need to go up there and they're used across grades and units. 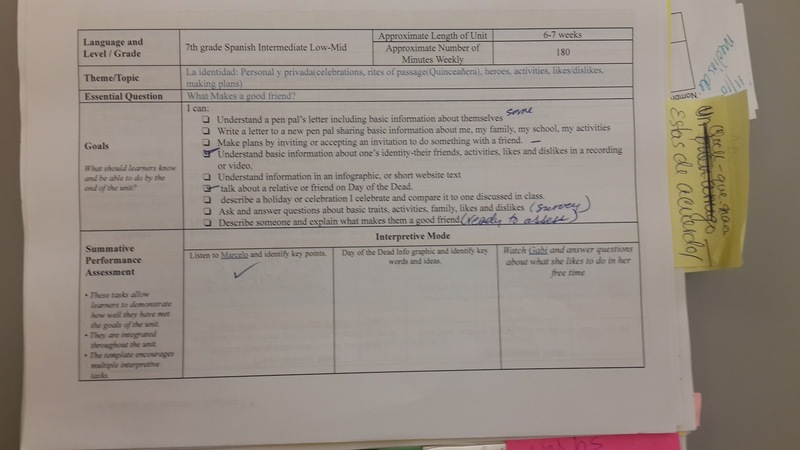 2) Looking at culture: I used the video "Families of the World(Mexico)" with my 5th graders, who are in the midst of our unit, "What Makes A Family?" I told the class that they would be working to make a Venn Diagram about the two children featured, so they took a few notes during the video. 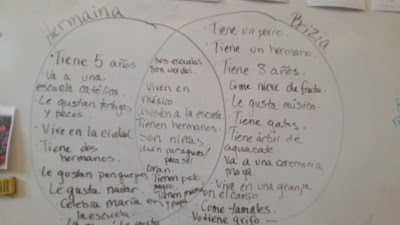 They worked with a partner to make their own Venn, then as a class, we collectively created the one below. 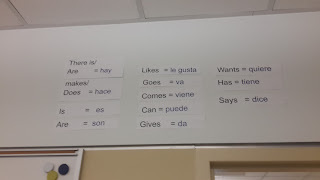 You can see lots of high frequency verbs to create sentences. I integrated my large scale classroom map of Mexico, so geography came into play, too. 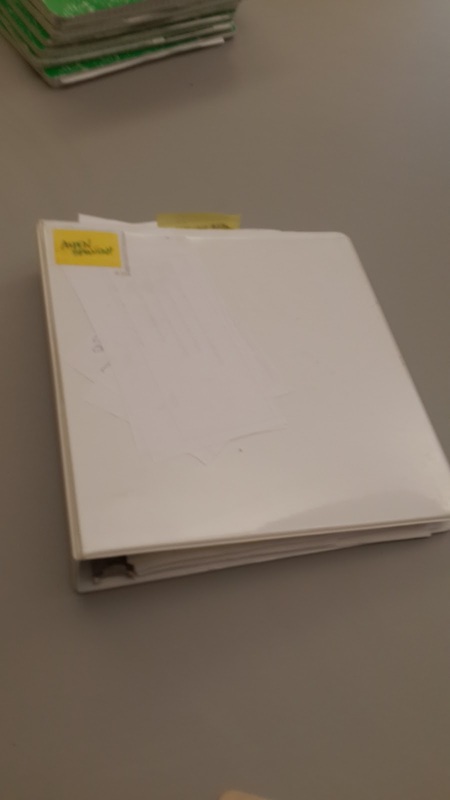 on an assessment, TALK score with feedback from me, stored in their "evidence collection envelope," glued into the back of their notebook(below). A paper girl in a digital world. 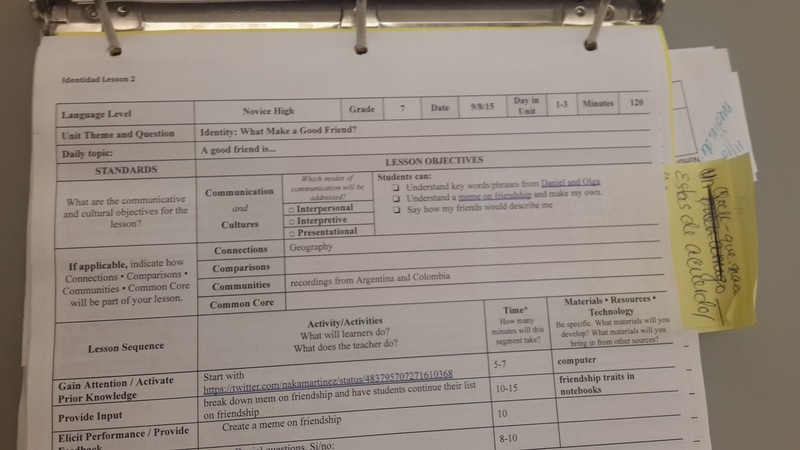 I store all of my units, lesson plans and rubrics in Google Drive, however, I'm an old school lesson plan book kind of gal, and have five levels to keep track of. 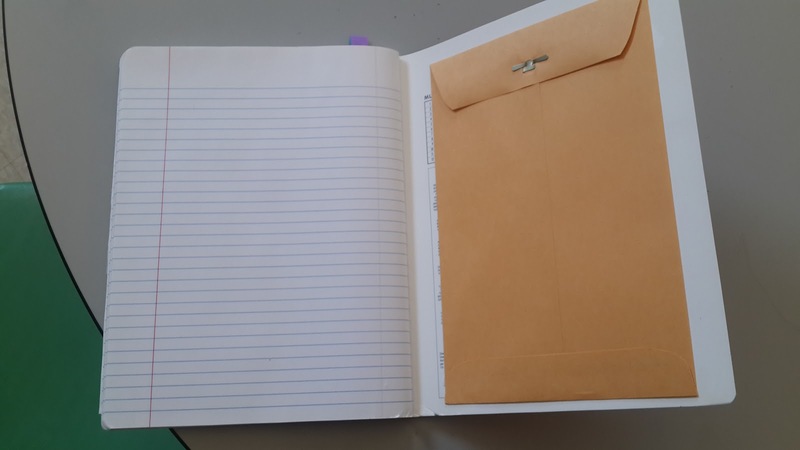 This year, I've created two binders--one for middle school and one for upper elementary. 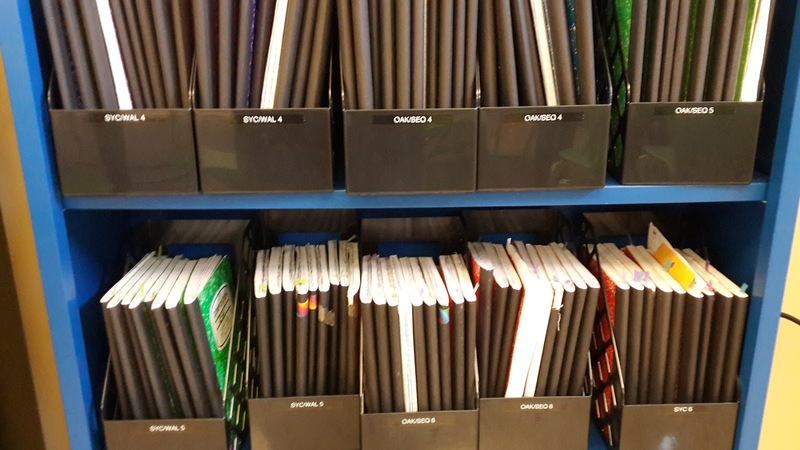 My colleague who has taken over K-3, has a similar system. 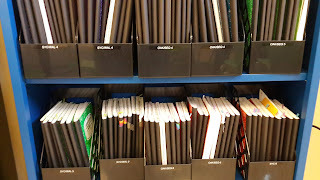 The binders are organized by grade level and include the unit plan, lesson plans and progress monitoring--one page of TALK scores and one with the can-do statements for me to check off based on assessments. 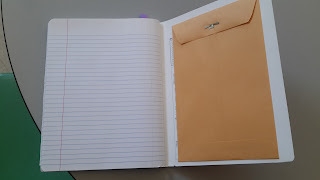 This has allowed me to save and organize materials in Google Drive, so I can easily find and edit them for future use, but I can hand write notes and have a hard copy to take with me to classes, and be prepared when technology fails.